Rounded footprint helps to cut through the water layer providing enhanced traction on wet roads. Multiple lateral grooves help to shorten braking distances on wet and dry roads. 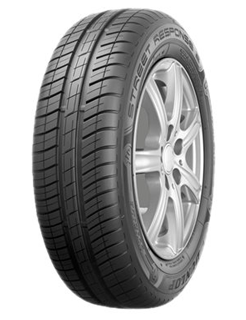 Twin circumferential grooves help to enhance wet traction capabilities.